Is it better to shop monthly or weekly? Is it better to shop each week, or monthly. I noticed I shop monthly and I spend a lot of money in drinks, soda, milk, tea, and use up my budget on those, meats, and essentials. Then 2 week into the month I need milk then 3 weeks into the month, I need little things to go with my meal, like more potatoes. Then our local stores will have a sale and we will spend more to stock up. There is just 2 of us to cook for, but we do coupon. I wasn’t sure how to make this plan work if you shop monthly or should I switch to weekly? I LOVE this question because there are so many different ways to answer it. First, let me tell you what we do. When Mark was working we got paid bi-monthly (every other Friday), we would take out the money that we needed for groceries for the next 2 weeks in cash and put it aside in an envelope marked groceries. I would then shop every week and use only half of the money. Taking out cash bi-weekly still seems to work well for us. I am not an advocate of using 100% cash all the time, but for groceries I think that it is absolutely the best way. Setting a grocery budget is difficult to stick to, especially when you have your debit card and don't mind going $5.00 over budget. That $5.00 adds up over time, so sticking to cash will help you stay within budget. 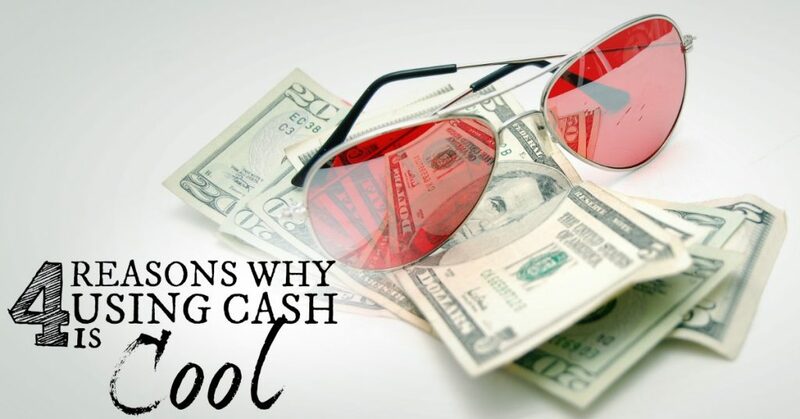 That's just one reason why I like using cash, here are 3 more reasons why using cash is great for your budget! 1.) You are missing out on loss leader sales and stock up opportunities. If you are unfamiliar with the term loss leader, you can read my post about it here. These are items at rock bottom prices and are the ones that I usually stock up on every week. 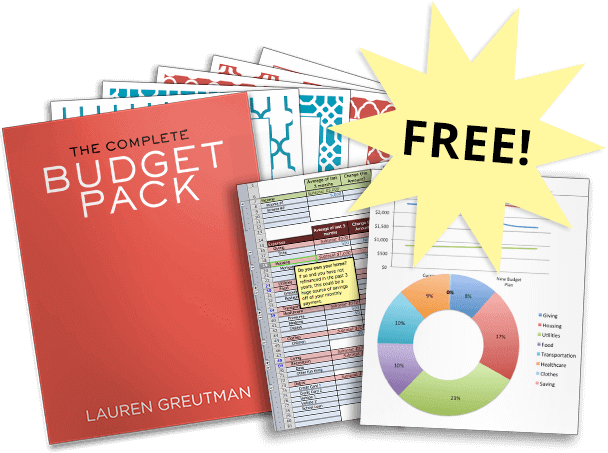 When using my 1/3 rd budget system you will be stocking up on these with the last third of your budget. If you shop once a month or even every other week, you will be missing out on these opportunities to stock up on some great deals and put aside for later. 2.) You may be making 1 ingredient trips which is actually costing you more in the long run. Did you know that for every extra minute you are in the grocery store, you spend an extra $1.75? What does this mean for single ingredient trips? It means that you usually don't stop in for just that 1 thing, you normally come home with a few other impulse buys in your cart. This costs you money in the long run. This is just one more reason why I love ALDI! You will spend WAY less time in ALDI, which means you will not only save money because the food is cheaper, but you will save money because you are physically spending less time in the store! Wondering where to start at ALDI? 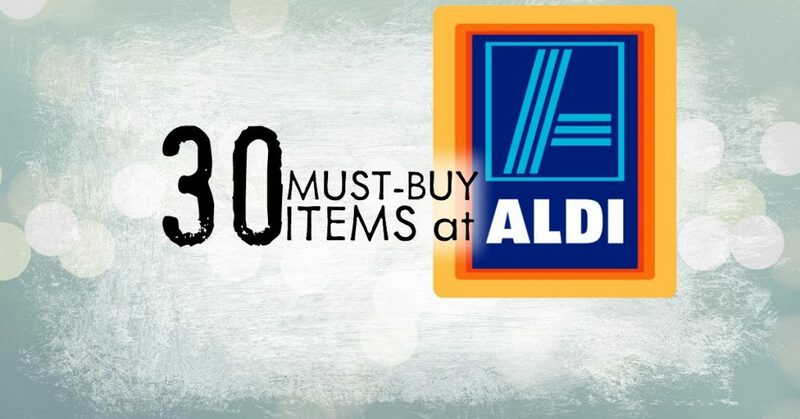 Here are 30 MUST BUY items at ALDI! 3.) You can eat more fresh fruits and veggies. By shopping every week you can stock up on lots of fresh fruits and veggies and eat them before they go bad. I know many people who shop monthly typically run out of those items by the last week, so they are left without fresh produce until they go shopping again. If you do choose to shop once a month eat the produce that will go bad first, then save the produce that will carry a month until later in the month (apples, oranges, potatoes etc). 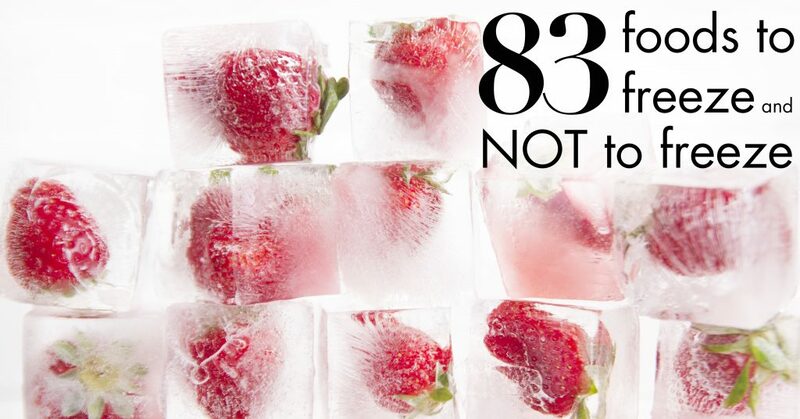 Check out this list of 83 items to freeze (or NOT the freeze)! 4.) Just because you get paid twice a month, doesn't mean you have to shop twice a month. We take out cash for 2 weeks, and split it in half so do my shopping every week. This allowed me to shop around our weekly schedule, meal plan and stock up on the loss leaders for that week. But here's what I actually do these days (and it makes my life SOOO much less stressful). Dinners are usually handled by preparing one of my awesome freezer cooking meal plans, and then I shop weekly for breakfast, lunches, snacks and maybe a couple other dinners (when we don't use the slow cooker). This method saves me lots of money and time! Another factor to consider is how far away you are from the grocery store, and how much in gas it will cost you to make weekly trips. We are fortunate to live very close, but I know that some of you live in rural areas and may have to drive a half hour or more to go grocery shopping. I've tried shopping once a month and failed miserably, but I am sure that many of you have success shopping monthly. Why don't you leave your comments below on what things you do to make monthly shopping a success. I see that the comments are from two years ago, however I wanted to let you know that there were some really helpful ideas in your article. I also wanted to remind you that you are missing a whole demographic. I am on S.S.I. and get paid once a month. My husband has to do our shopping since I’m to sick to go out most of the time. We do 90% of our shopping at Aldis, I don’t think we could survive without that store. 8% is done at Wal·Mart. What I’m getting to is our 2local butcher shop. That is the first stop made on shopping day. Our meat is potioned out and vacuum sealed to last the month. That way I know what I need and I have fresh local meat all month. I nearly go every day to my local ALDI. Not Sunday, Sunday all Supermarkets are closed in Germany. If I go very slowly, it’s a 5 minute walk from home. My pantry is always very low on food, which means food barely spoil at my house. I usually don’t buy in bulk since ALDI anyway doesn’t have everyday commodities as special offer. At the beginning of the month I go to the bank, get 600 Euro and put 20 Euro in my wallet every day. I don’t spend more than I got cash in my wallet. I buy food, cat food, toiletries, gifts and clothing, bus tickets, … with this money for me, my husband, the 2 children and the 2 cats. Buying everyday means less rotten food and less space in the pantry for me.